Are stubborn bulges or rolls causing you to feel self-conscious about your figure? Not anymore! With CoolSculpting®, Dr. Natalie Driessen can quickly and safely freeze away fat and give you the slimmer figure you want. Our board-certified plastic surgeon has the necessary training and experience to care for you, and she will create a personalized treatment plan that fits your unique goals. Contact us today at (760) 773-6616 to learn more, and to schedule your consultation! Your figure and appearance are a huge part of your identity, and with phrases like “love handles” and “muffin tops”, many people begin to feel self-conscious when they do not have their ideal figure. Fortunately, we can help! At our practice, we are pleased to offer CoolSculpting®, the #1 leading non-surgical treatment for reducing fat. In fact, CoolSculpting is the only treatment of its kind! 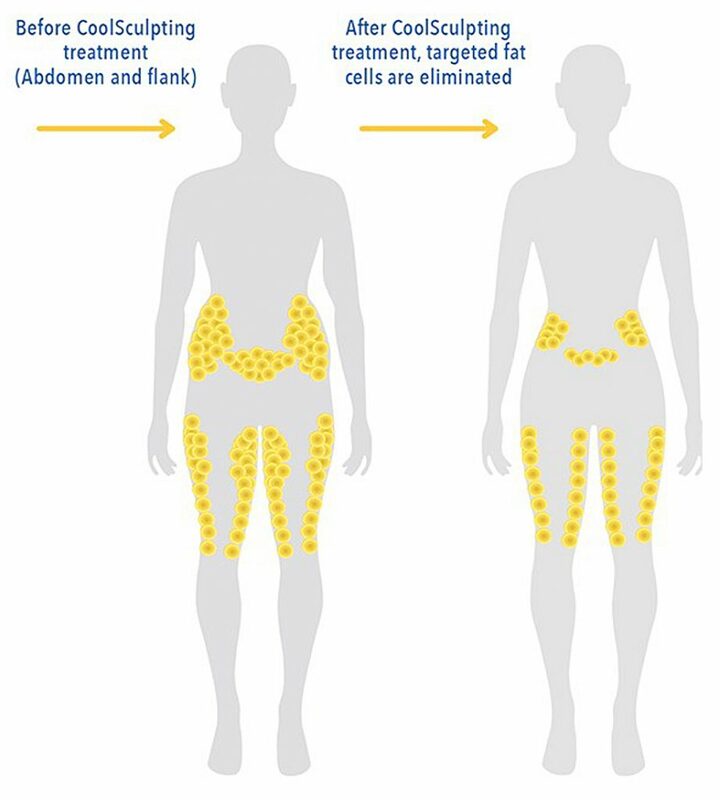 CoolSculpting works by targeting areas of stubborn fat that cannot be reduced in other ways, such as diet and exercise. During your procedure, the CoolSculpting device delivers controlled cooling to a specific area, which targets fat cells below the skin’s surface. As the fat cells freeze, they crystalize and die, and your body removes the dead cells in a natural process. The end result: a more sculpted you! If you are interested in giving your body the shape you want, we invite you to learn more about CoolSculpting by contacting our practice today. Our plastic surgeon and her team can help answer your questions and get you started on your journey to a more beautiful and confident you!